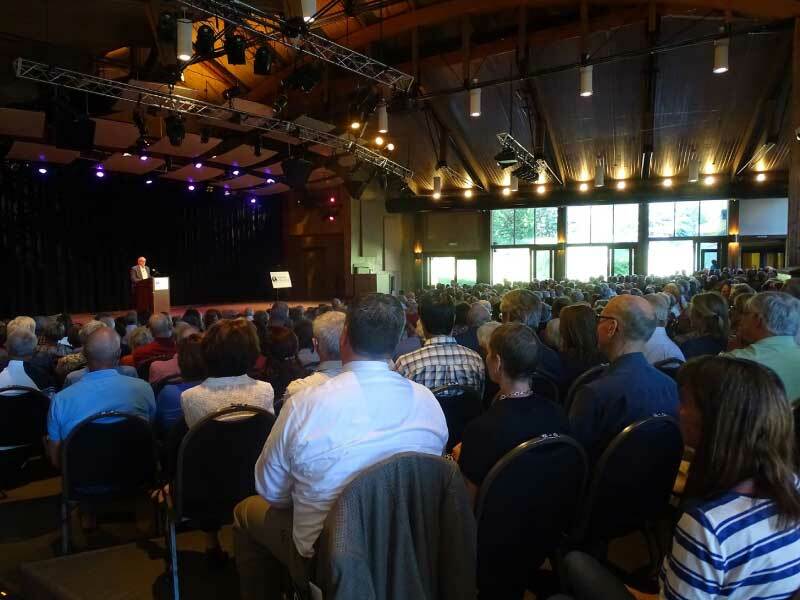 Seminars at Steamboat was founded in 2003 as a nonprofit, nonpartisan organization that brings experts on a wide range of public policy topics to the Steamboat Springs community. Over the years, Seminars talks have covered the economy, foreign affairs, national security, immigration reform, health care, the media, drugs and sports, the environment, climate change, education, the 9/11 Commission and more. See a complete list of past speakers and topics here. Seminars at at Steamboat talks are always free to the public. The summer series takes place at the Strings Pavilion, often filling to capacity with more than 500 attendees. Free tickets are distributed and doors open at 4:45 p.m. Talks start at 5:30 p.m. The typical format includes a 45- to 50-minute presentation followed by a question and answer session. Each Seminar is followed by a Dutch-treat dinner with the speaker, where Friends of Seminars can continue the conversation. In addition, Seminars have historically been re-broadcast on KUNC public radio. For the 2019 season, KUNC is producing a new Seminars at Steamboat podcast that listeners can subscribe to wherever you get your podcasts. Seminars at Steamboat is supported primarily by individual contributions from our audience, plus a grant from the City of Steamboat Springs. Become a Friend of Seminars by donating $100 or more, allowing you to reserve advance tickets for Seminars and to attend the Dutch-treat dinners.